Advice on buying shoes and bags for the new term. 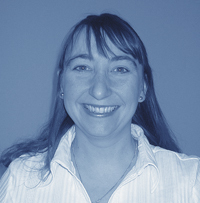 read more..
Maria is pleased to be offering Chiropractic in Harborough for over 15 years. You can now pay by credit or debit card! Back to work after the summer break? See our past news items. For an emergency appointment out of these times please telephone the clinic on 01858 464680. BSc (Hons) Psych, BSc Chiropractic, D.C., C.C.E.P. Maria graduated with a BSc in Chiropractic from the Anglo European College of Chiropractic in 1995. Maria started treating in the area at The London Road Chiropractic Clinic in Leicester and then transferred to Archway House Natural Health Centre in Market Harborough - Maria has now opened her own chiropractic clinic at 19 Nelson Street, Market Harborough - which offers her existing and new patients some of the very best in chiropractic care. Maria has over fifteen years of experience and has many patients from all ages and has gained a reputation for her kind and professional manner, which has consequently lead to many personal recommendations. It is important to Maria to not only provide the right care, furthermore to provide the correct environment it which to be treated. Maria is also registered with BUPA and PPP.